Naples Architecture Blog by Weber Design Group, Inc. There are some common assumptions and misconceptions about the role of an architect. An architect’s most fundamental purpose, and the reason for having a professional license is to protect the life safety, health, and welfare of the occupants of the buildings they design. However, there are many other tangible and intangible benefits a building design professional offers. While it may seem easy to view an architect’s fee as another added cost to your project, professional architectural services actually add value to projects in a multitude of ways. 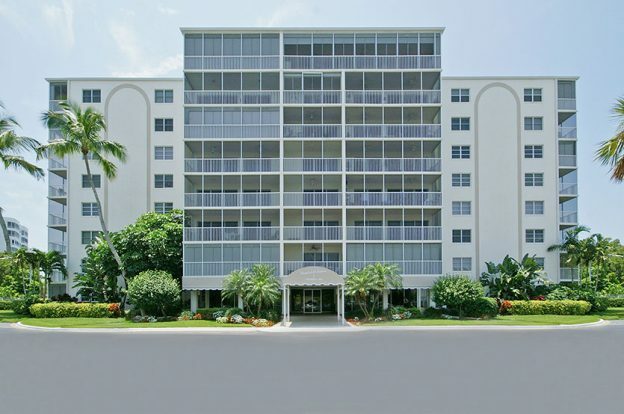 WDG Commercial Studio recently completed interior design for the modernization of lobby area common spaces at Vanderbilt Towers, a beachfront condominium located in Naples, Florida. The design concept included creating contrasting materials and colors, contiguous spatial perception, and a new lighting solution in order to help a smaller proportioned space feel larger and more engaging. McGarvey Custom Homes’ furnished Beechwood Model is available for immediate purchase in Quail Woods. The Weber designed Beechwood offers four bedrooms and a study, four full and one-half bath within its 4,076 square feet of living area. The 6,927 total square feet includes a side-entry three-car garage and large outdoor living area with an outdoor kitchen. Last Mother’s Day in our blog post “10 Spa Bathrooms Mom Will Love” we brought you master baths from our custom home portfolio. All of these master bath retreats shared one common trait: over-the-top luxury. This year we thought we’d expand the idea to share five of our most loved mansion house plans that offer mom not only lavish spa baths in which to unwind but thousands of square feet of grand amenities indoors and out, intended to pamper not only mom but the whole family and guests alike. The data is in, and we’re ready to share five of our popular house plans from first quarter 2018. 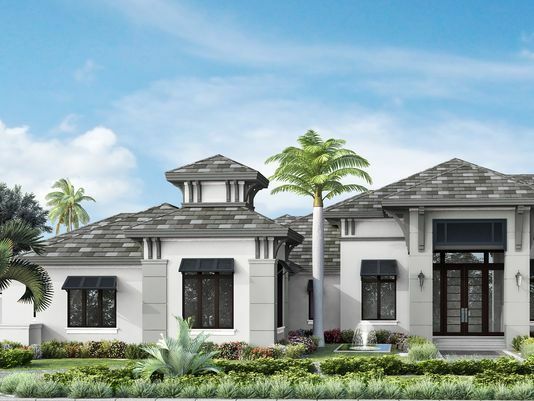 Borelli Construction has announced their plans to build a new luxury model home at 4839 West Blvd in the Park Shore neighborhood in Naples. 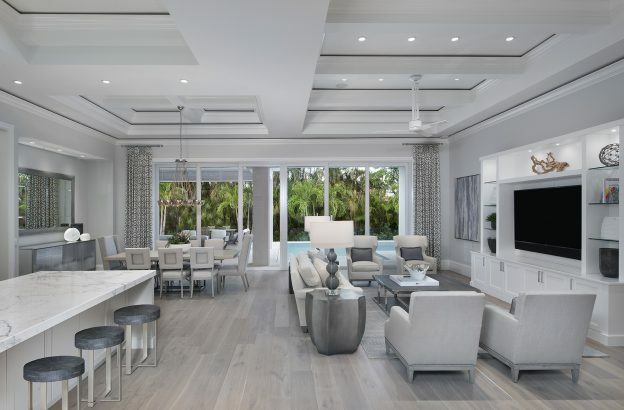 Weber Design Group designed the contemporary coastal style residence which will feature three bedrooms, three full baths, a powder bath and a study. 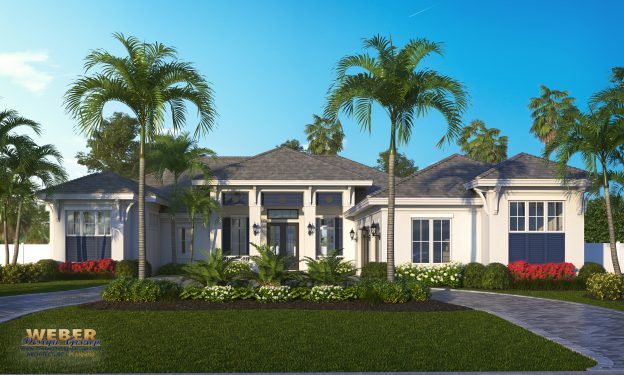 The front elevation of the home will have clean lines, ample windows and bahama shutter accents as well as decorative brackets to complete the coastal look. McGarvey Custom Homes has broken ground on another one of our architectural designs. 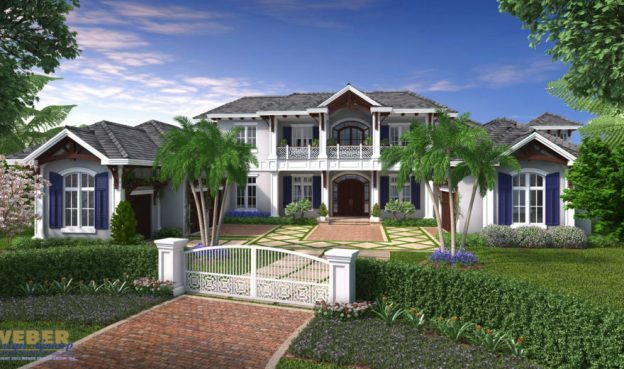 The Brentwood estate custom home design will have four bedrooms, a study, four full and half-bath as well a pool bath. The home offers 5,336 square feet of living area and a total of 8,763 square feet that also includes a side-entry three-car garage and ample outdoor living areas. This French chateau-inspired custom designed home recently graced the pages and cover of Home & Design Magazine. The old world meets contemporary front facade, draws from a wonderfully contrasting cream and slate palette. The front elevation features sweeping arches supported by ornate columns, and gray tonal cultured stone sets off the light smooth stucco exterior. Why do we care about natural light in architecture? It’s no secret that people covet naturally lit spaces with wonderful views of the outdoors. Weber Design Group is known for creating architecture that incorporates large walls of glass for showcasing spectacular views, and for providing seamless indoor-outdoor transitions. But where does the desire to provide natural light come from, and why does it matter so much in architecture? Borelli Custom Homes has announced the sale of their most recent custom home located at 509 Neapolitan Way in Park Shore. The transitional West Indies style residence The fully furnished home was listed at $3.395 million. It has four bedrooms, four full baths, two-and-one-half baths and a study, encompassing 3,820 square feet under air and 5,542 total square feet, all on one floor. 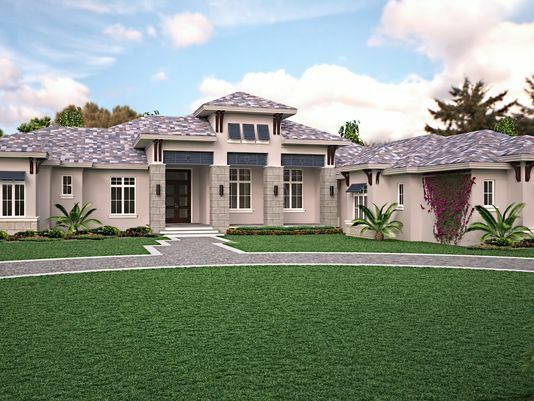 Designed by Weber Design Group Inc., the home boasts a great room floor plan with a large open area in the center that is ideal for entertaining family and friends. COA#AA26003747 © 2019 Weber Design Group, Inc.